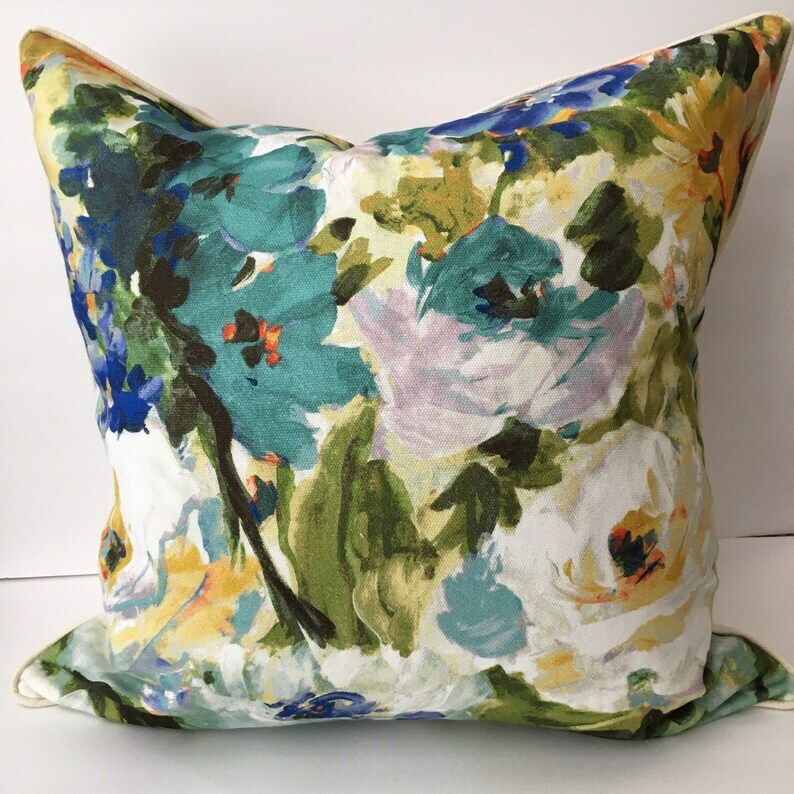 Watercolor floral 22 inch square pillow White, blue, green, yellow floral. Generously sized to be a cozy and bright accent. Solid cream backing and cording. Quality feather insert available. See separate listing. Dry clean only— pillow cover.